Welcome to www.BATW.net - Adding Text To An Image with GIMP. Otherwise visit them for your Equine Photo needs. Copyright © 2010 Ekaterina Druz. ShowFoto is the successor to DigiKam. 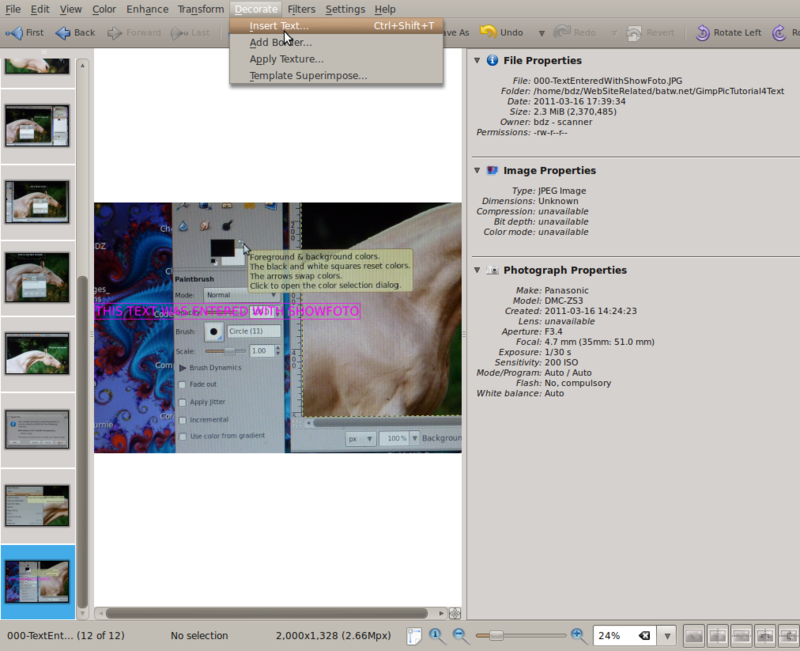 www.digikam.org If you have Ubuntu GNU/Linux you can install it from Synaptic Package Manager.